President Hassan Rouhani issued a statement expressing condolences to victims' families and thanking emergency services and the military for their responses to the crisis. Since the flooding, Rouhani had previously been absent from public view, with his deputies and ministers taking his place in visiting disaster-struck areas. Iran's meteorological service has warned of more heavy showers until Wednesday, forecasting as much as 15 centimetres (almost six inches) of rainfall in some western provinces in the next 24 hours. 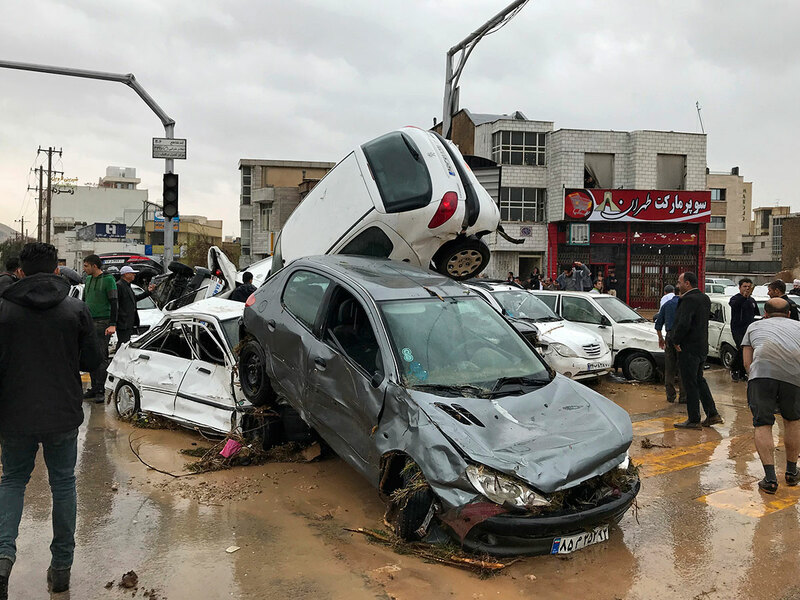 At least 12 people were killed and 68 injured in floods that have swept across most Iranian provinces, the country's emergency services said earlier on Monday.